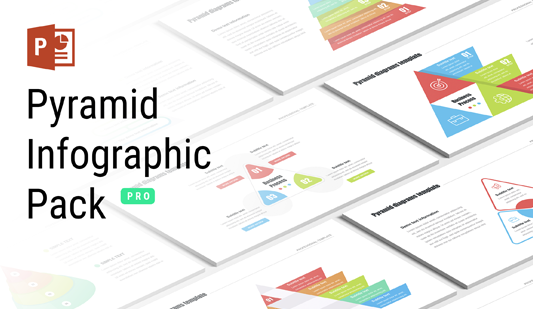 Pyramid PPT template for PowerPoint - Free Download Now! 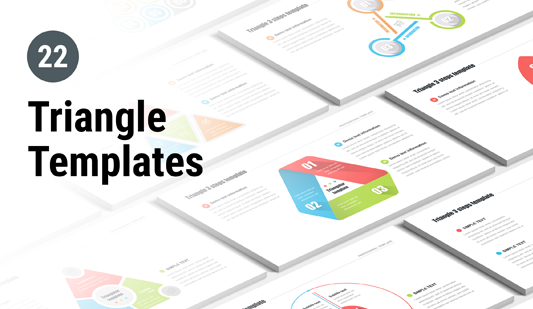 What is our pyramid PPT template for? 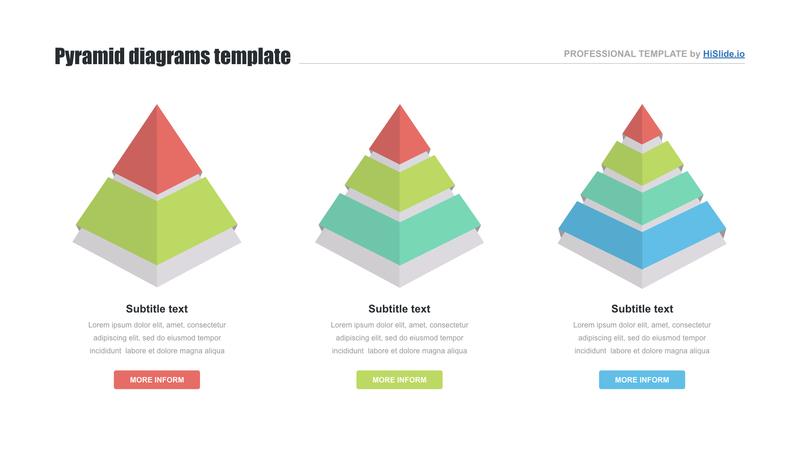 We are ready to offer a new pyramid PPT template. It is our unique element for digital projects, video blogs, and presentations. The slide consists of three 3D pyramids. Each of them has a different number of blocks (two, three, or four). They are multicolored. Below the pyramids, text blocks are provided. These elements are kinds of visualization tools. Their main task is to make presentations vivid and simplify the process of information visualizing. Due to such slides, presentations will be more attractive and clearer as well as listeners will easier understand the essence of a speech. If you want to understand how to create a pyramid in PowerPoint, it will take lots of time. It’s better to choose this premade high-quality template and work with pleasure. This element is a professional working tool for efficient and convenient work. Perfect quality. Offering this 3d pyramid forPowerPoint, we guarantee its high quality. The element is tested and has no defects. Users can display this infographic on high-resolution screens and feel certain about presentations’ perfect quality. Built-in tools. The elements can be easily adjusted to your needs. Due to editable tools, users can change colors, size, text, etc. Free download. This pyramid .PPTelement can be downloaded for free. Users can click on a few buttons and get this unique slide. Multipurpose template. This slide can be used for video blogs, webinars, business reports and analyses, other digital projects. Premade easy-to-use pyramid. 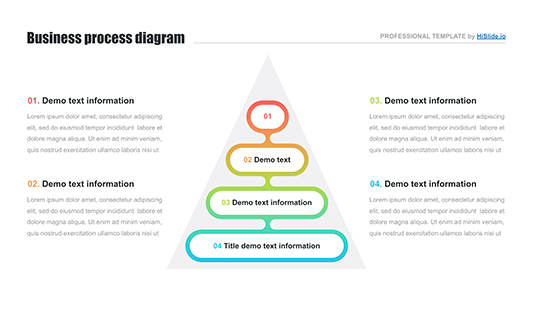 This pyramid PPT template is the users’ real support and assistance. Speakers choose the slide to quickly and easily create new visual material as well as efficiently perform responsibilities. In addition, when delivering a speech, such a professional tool will show speakers’ skills.